CAG has said that despite pressing in 25 officials to carry out a proper audit, the discoms are delaying the process by withholding access to key documents and servers. In a complaint to the Delhi power secretary last week, and shared with HC on Monday, the CAG office said it sent 103 queries relating to 285 issues but has received only 26 answers. "Nearly seven weeks are over since the commencement of audit but progress has been tardy due to the non-cooperative attitude of the discoms. Of the 103 requisitions, complete information has been received only in respect of 26 requisitions. In respect of others, information either not furnished or furnished partly." The letter explains the information sought relate to capital expenditure, assets utilization, accounts, IT system, metering, billing and collection from consumers, tariff and regulatory matters, procurement and sale of power. "It is needless to mention that these are vital for discharging the duty entrusted to us. For example, submission of mere balancesheet and profit and loss accounts does not serve any purpose unless they are backed up by the trial balance, referral schedules, ledger accounts and final adjustment entries passed at the final stage of accounts," CAG adds. 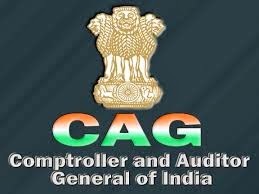 Asking the power secretary to intervene, CAG has alleged its officers have been denied complete access to the IT system. For instance, the letter explains, BSES has given authorization to 15 out of 48 transactions codes for access by CAG officials while Tata Power has not given any access to their IT system. "Partial disclosure may lead to erroneous conclusion," the auditor warns, asking the government to instruct discoms to cooperate. CAG has also demanded discoms immediately give all records and documents instead of indulging in delaying tactics or furnishing incomplete documents.